Marseille is one of the oldest cities in Europe, but it's also one of the most alive. It thrives on change and the influx of the new, a true global melting pot since its founding in 600BC. The best places to stay in Marseille reflect this diversity with everything from cheap and chic to five star luxury on offer. Marseille is also the second largest city in France, by population, and the largest by area. So get ready to jump into the colourful markets - which will transport you to more distant lands, to marvel at the natural beauty of the Calanques - fjord-like cliffs which fall dramatically into the sea, and to delve into the history of the old part of town and the old harbour - le Vieux Port. Being European Culture Capital in 2013 meant museums, galleries and accommodation options have had a recent spruce up, so it's a great time to visit Marseille. It wasn't just the galleries and museums given a spruce up leading up to 2013, it was also many of Marseille's historic palaces, churches and other treasures. And with 2600 years of history to explore you'll find plenty to keep you interested. Whatever your reason for being in Marseille, hanging around by the old port and seeing local fishermen auction off their catch is worth doing. As is visiting the Notre Dame de la Garde, a big old church with wonderful views over the entire city. and you should definitely stroll through le Cours Julien, which is the trendy area of Marseille, full of bookshops, cafes and a lively market on Thursdays and Saturdays. Everyone who visits Marseille also takes a stroll along la Corniche, which is right beside the sea, and has a drink at Escale Borely, which also has great sea views. If it's a nice day it's also worth considering a trip out to the Chateau d'If, a fortress on an island just off the city. First a city defence, it was later turned into a prison, and is best know for appearing in The Comte de Monte-Cristo. The areas of La Panier, the historic home of Marseille's marketplace, and Noailles, which is lined with Arabic and Indo-Chinese shops, are worth exploring as well if you have time. Marseille is a great spot for romantics who thrive on buzz. Relaxing this town is not, but if you want lively nightlife, plenty of choice when it comes to cultural events - and even more when it comes to eating and drinking, then Marseille is for you. But don't forget that the best places to stay in Marseille will be busy, especially during the peak summer months. So do your homework and book well ahead. Mama Shelter is the ultimate chic city break hotel, care of Philippe Starck, naturally. A short stroll from the old port, this hotel occupies a cluster of old houses, so it's old and graceful on the outside and high concept on the inside. 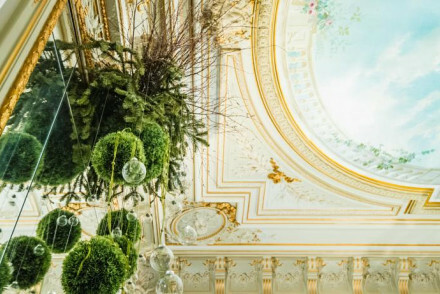 As well as plenty of clean, white lines there are whimsical touches, like ceilings doused with graffiti, and Marseillaise slang in the lift. Elegant, classy, stylish all fit the bill at Hotel C2. Awash with luxury, this Haussman-style townhouse blends chic contemporary design features with antique cornicings and frescoes. The highlights include a superb restaurant, a lavish spa and a lively music bar. The name is a big giveaway at La Residence du Vieux Port. The rooms focus on space, light and comfort, affording excellent views out over the nearby harbour. A great base from which to explore the vibrant area surrounding Marseille's port. 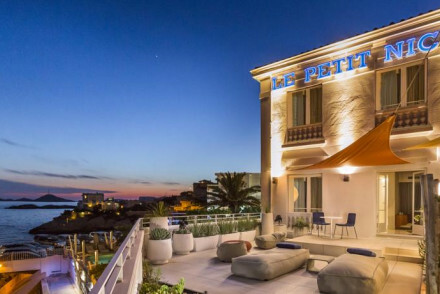 Perfectly capturing the beauty of the Mediterranean, Le Petit Nice is a stunning five-star hotel. Heavenly suites, the famous Gérald Passédat restaurant and an atmospheric bar, all come together to create a tranquil spot. If you're looking for somewhere memorable right in the centre of town, one of the best places to stay in Marseille is Casa Honore, a four bedroom B&B converted from a printing works. Beautifully designed, every care has also been taken over your comfort - the huge all-white bedrooms have generous granite bathrooms, there's a tranquil courtyard swimming pool and it's only a few doors down from a truly excellent restaurant. Explore the options at our online partner Booking.com. For car hire, visit our online partner Rentalcars. Marseille is the sunniest city in France with over 300 days of sunshine a year. If you're one for summer heat, the best time to visit is from May to September. Browse through our list of all the best places to stay in Marseille. Expand the search to see all the best places to stay in Provence, or the Cote d'Azur. Alternatively contact one of our friendly Gurus for advice. Stylish modernity close to the old port. This Philippe Starck designed Marseille hotel offers industrial-meets-kitsch style and caters for a trendy crowd. Good for solo travellers, couples and families who like a buzzy atmosphere in minimalist surroundings. Excellent value. An excellent hotel set in a beautiful secluded 19th century house, on the outskirts of Marseilles. Designed with modern interiors, the rooms are sleek and stylish with uncomplicated decorations. Perfectly placed for exploring Marseille or the national park to the south. Local exploring - Set just outside Marseilles, it's perfect for exploring the city and also the Calanques National Park. Sights nearby - The hotel is located less than a mile from Parc du Roy d'Espagne. A stylish contemporary hotel overlooking the Vieux Port in Marseille. The modern rooms are spacious and sleek with many affording beautiful views out over the rooftops. Within easy reach of the sights and sounds of the city, it's perfect for a weekend's exploring the seaside city. Value chic - An affordable jem, overlooking the beautiful old port, inspired by Le Corbusier and filled with vintage design features. Sights nearby - Just a five minute walk from the Old Port of Marseille. A waterfront five-star hotel and restaurant. Spectacular views and calming ambiance extend to the cocktail bar, leafy terrace, swimming pool, famous Gérald Passédat restaurant and spacious rooms. Immaculate and simple, decorated in a lovely contemporary style. Fishing - Calanque de Morgiou has been famed for tuna fishing since 1622. Sights nearby - Visit the old port of Marseilles. 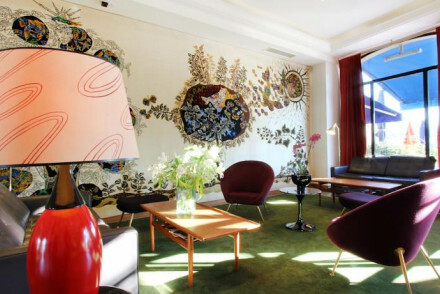 A sharp snazzy five-star hotel in Marseille's city centre. The Haussman-style townhouse features ornate period ceiling frescos, side by side with cutting edge contemporary design furnishings. The deluxe suites, excellent restaurant, vibrant music bar and heavenly spa, exude a quiet sense of luxury. City Style - A charming 19th-century mansion, turned chic contemporary urban retreat, filled with funky design details and orginal features. Local exploring - Just minutes from the Vieux Port, surrounded by smart boutiques and cool cafes, it's the perfect base for exploring Marseille. Sights nearby - The Old Port of Marseille and Notre-Dame de la Garde Basilica are ten minutes walk from the hotel.